Here are two totally odd and brilliant Cult films. Both are being brought out by the wonderful one of a kind studio Mondo Macabro. Mondo Macabro is a studio that I love greatly. They bring out such unique and interesting and totally out their pieces of cinema that have been forgotten by time. Those films that never get the light of day or those that are unearthed and brought out from the hidden darkness of the forgotten cinema world. To me Mondo Macabro DVD/Blu-ray is the place to go to look for these wonderful obscure pieces of cinema, overlooked, and yet dugout for fans of this type of genre. First up is Spider. Spider is about Vita. A beautiful teenage girl. She is approached by an artist who just happens to be an artist that causes a lot of buzz from his controversial work. He wants Vita to pose naked as the Virgin Mary for his painting. She decides to visit his work shop. While there she finds herself enthralled with the bizarre and the artist’s friends. To make the reality all the weirder and confusing the paintings seem to come to life, shadowy figures haunt her. She has massive nightmarish visions. She dreams, of the artist as a giant spider who comes to her as she sleeps. What has the beautiful, innocent Vita gotten herself into. Will she survive her ordeal, or is her ordeal all in her head? Vita must come to terms with the strange and the odd reality happening around her. Starring in this was a fantastic actor. I know him from lots of films. His ability to capture characters was always a flawless undertaking. Sadly, Romualds Ancans passed away at the age of 67 years. He left many wonderful examples of films that are worthy to seek out and experience and Spider is one of his most unique films. This odd dark sexual film is something that has to be seen to be understood. This was directed by Vasili Mass. This is his only film as director. His main work was in Production Designer for 8 films. He definitely left his mark with Spider. It’s a truly unique and one of a kind experience. 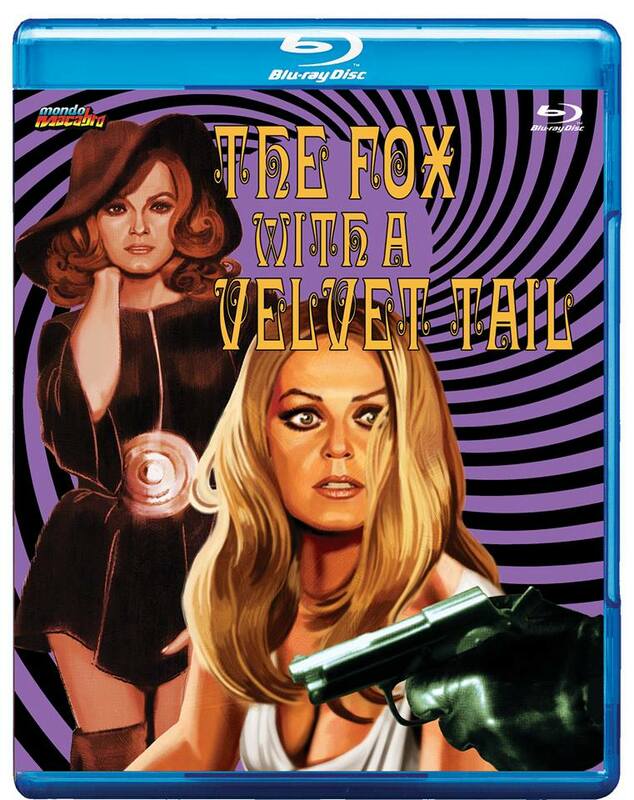 Next up on this Mondo Double Feature is: The Fox with a Velvet Tail from 1971. This is another odd and fantastic Giallo film. A wonderful Italian cross over Spanish Giallo that really stands out. This is a perfect murder mystery that only a Giallo can be. Giallo is a film that originated in the Italian thriller or Horror genera of film. These movies had many styles that could represent or detail a slasher film, crime fiction, psychological horror. Typically, this type of movie detailed a killer, a detective or someone investigating a string of strange murders of a brutal nature. Most Giallo’s could be very violent and gory at times. In The Fox with a Velvet Tail your main characters are Ruth and Paul. Ruth just separated from Michel after finding another man, Paul. Soon all kinds of strange things start to happen. The brakes on the car fails. Other items malfunction for no reason. Is Ruth in mortal danger. Is Ruth being sought out or is it all just coincidence. You the viewer must decide as this true mystery unravels. Directed by the brilliant visionary Jose Maria Forque. Sadly, this master of film is no longer with us, but his brilliant films and productions can be watched and enjoyed. I highly recommend you seek out his films. I am thankful that Mondo Macabro brought this brilliant Cult gem to Blu-ray. This film has never looked any better. Starring as Ruth is the beautiful, vibrant wonderment of an actress Analia Gade. She is a goddess of cinema who has starred in over 70 productions and each one shines with her golden ticket of classic beauty and performance. It was so great seeing her in this. This is the first time I have seen this film and I was super excited realizing that she starred in it. She is brilliant in so many films. Seek her work out. Also all one has to do is look at another actor in the film Jean Sorel who plays Paul. Jean is a master talent. He has been in some of the greats in film history. 1967’s Belle de Jour, 1973’s The Day of the Jackal. Still acting strong today. Over 90 productions. He also starred in one of my favorite Lucio Fulci Giallo films 1971’s A Lizard in a Woman’s Skin. Another priceless Giallo is 1971’s Short Night of Glass Dolls. Just a truly brilliant actor, which makes watching The Fox with a Velvet Tail all the more important to see. Both Blu-ray’s are perfection for the lover and fan of these type of films. Two brilliant Cult films that are must own experiences. I have nothing to compare these two films to. I have never seen these films until now and I've never owned another copy of them. Both of these Blu-ray’s are spot on. The audio is good. The visuals are good and it's great that this has been recorded and brought out and enhanced for this generation. This like the other releases, is dynamic in transfer and sound quality. A beautiful vibrant imagery. Crisp to the eyes. The sound is nothing more than ear candy. Two beautiful new outlets to these older films that are chosen by Mondo. Two wonderful Blu-ray’s to own for those who enjoy this type of cinema. I highly recommend for the fans of Cult Cinema. Truly two forgotten pieces that have finally been unearthed and created for a new Blu-ray outlet, that can grace the shelves of all the fans of this wonderful cult genre. Like I said this is for fans that appreciate this type of cinema. Fans that understand the quality of cult cinema. These are wonderful Blu-ray’s. A wonderful unearthing of two films that truly graces the inner fan of Cult Cinema. Mondo Macabro are for the fans. For they truly know how to give gifts of unearthed, forgotten films. They grace this type of genre of film. They showcase, the bizarre and the weird, the underground, the grind house, the foreign, the lost films of their time. A perfect transfer, perfect sound quality. Perfect films to experience. Two wonderful Blu-ray's by the important company Mondo Macabro who honors film in excellent ways. Highly Recommended. 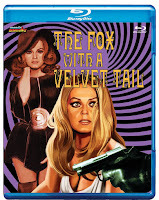 Make sure you head over to http://mondomacabro.bigcartel.com/ to buy all the wonderful Blu-rays. The main page that gives you these beautiful releases on top quality Special Editions.